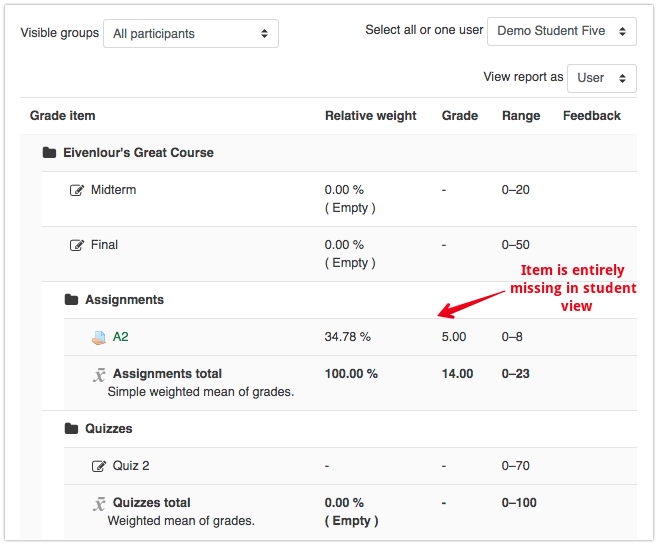 A known bug can sometimes cause problems identifying which grades have been released to students. 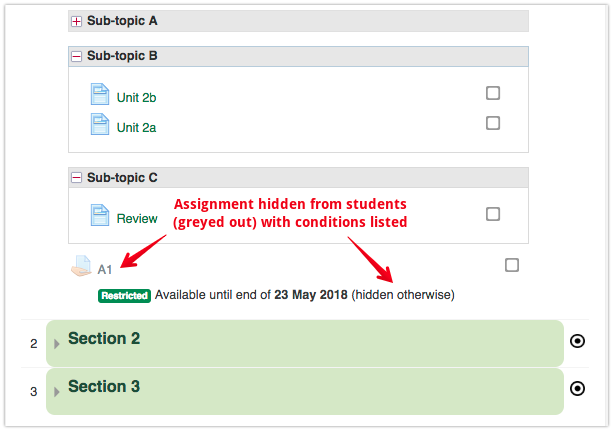 This issue is in active development by the moodle community and we will be looking to release a fix as soon as possible. 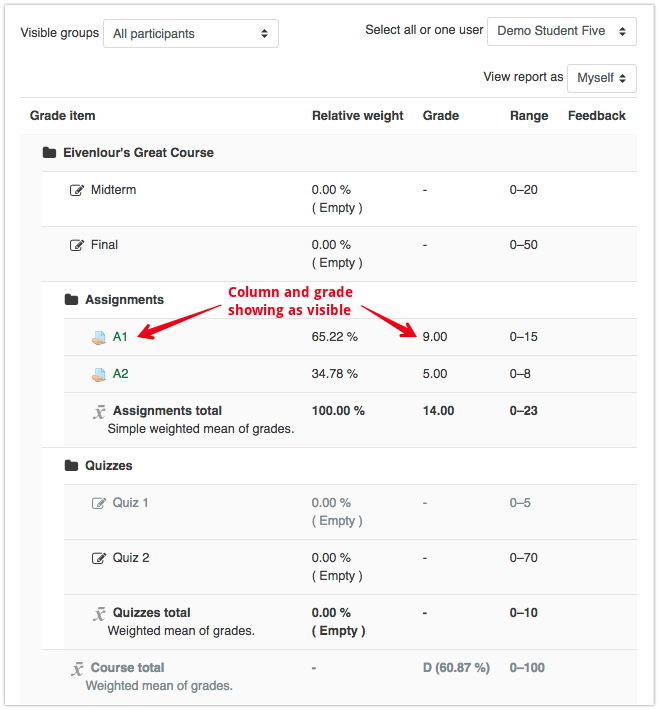 On the main eClass course page, these items are shown to instructors as being hidden from students with a notification of the condition of access. 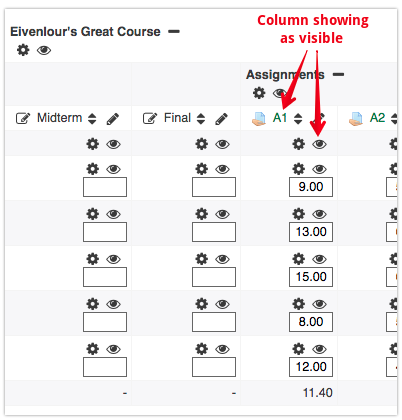 The only way to make this item visible in the student's grade view is by changing the access restriction so that the item is shown greyed-out if the condition is not met or by removing the access restriction entirely.